Luxurious Lobster Rolls at Lobster Kitchen. The Lobster deli trend has finally come across the pond and we have seen a boom of gourmet fast food delis opening up in the capital. We went to check out Lobster Kitchen which opened in November 2014, one of a few new Lobster restaurants which have arrived in the past year. 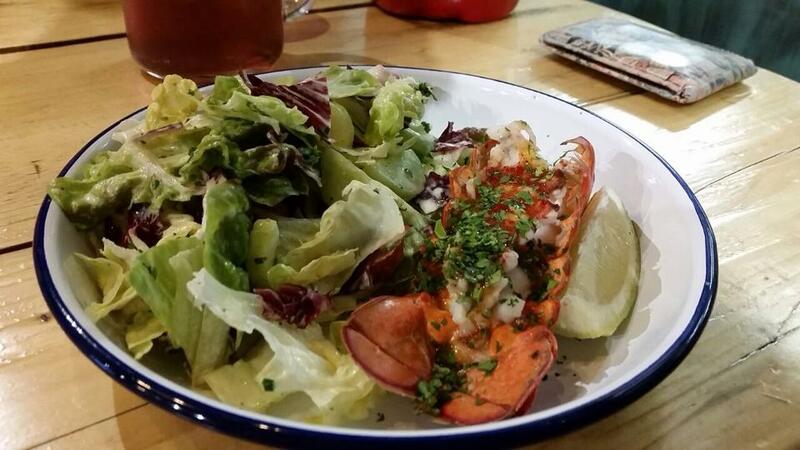 Lobster Kitchen is a hidden gem just off of Tottenham Court Road in Great Russell Street. The secret treasure can be easily missed as it is tucked away just next to the YMCA, but this is what makes it so special. The menus are all on iPads too, a nice modern and eco friendly touch. 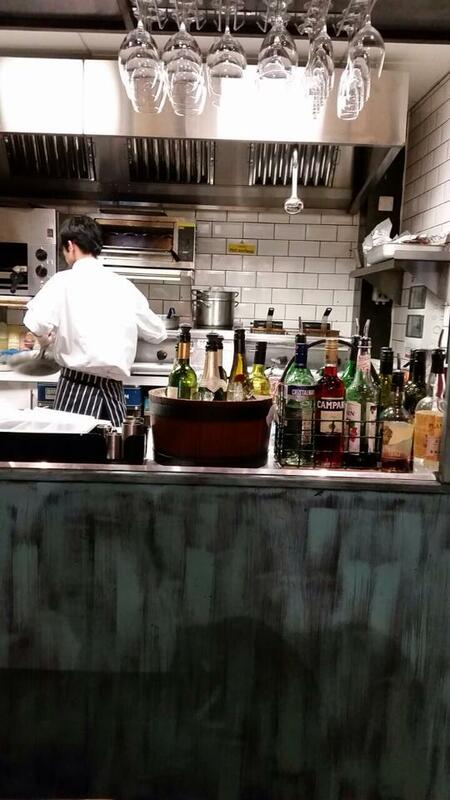 The drinks list and food offers are written on blackboards around the open plan kitchen. 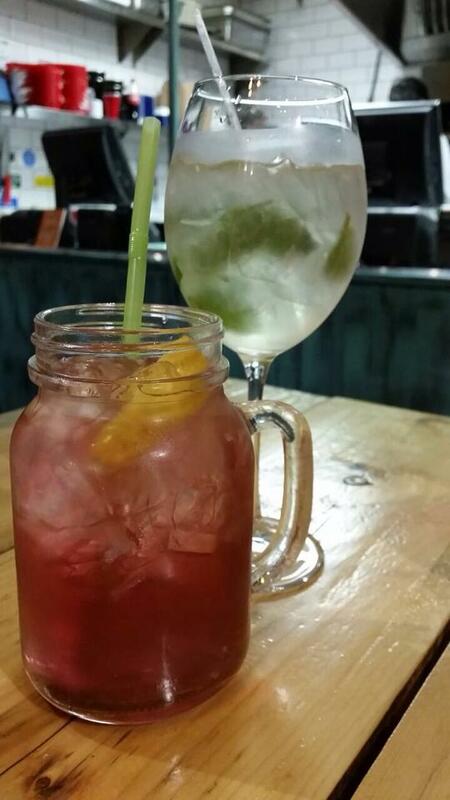 We went for the Blacktop Fizz (left) which is a mix of Opal nera, gin, Monin strawberry, lemon, sugar, soda and the Hugo (personal favourite) which is a refreshing concoction of Prosecco, soda, elderflower, mint, lime – both £8 each. 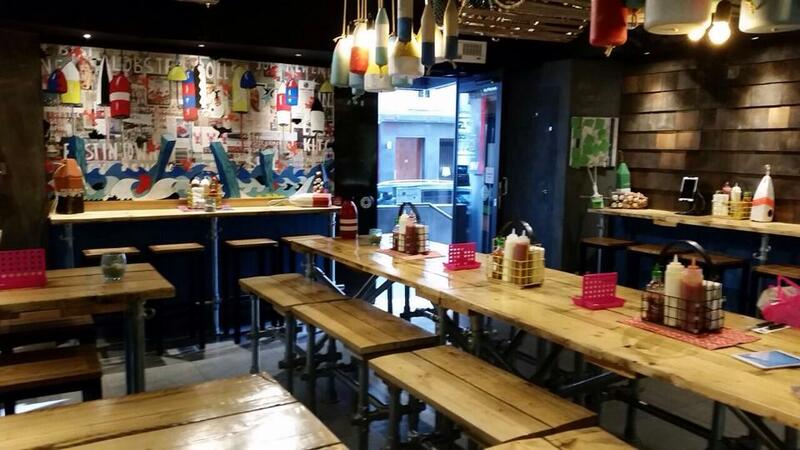 Lobster Kitchen has funky authentic seaside shack look with reclaimed wood panelled walls, recycled buoys and lobster traps hanging from the ceiling. It brings a touch of New England to London. You can see everything being made freshly in front of you in the open plan kitchen. Everything was whipped up so quickly too, we only had time for two games of connect 4! You can view the extensive menu here which has a range of Lobster dishes. I had been admiring the menu online so I couldn’t wait to get my claws on a lobster roll. Lobster Kitchen sell of a variety of lobster dishes, obvs, but at such bargain prices. Gone are the days that gourmet foods like Lobster were viewed as unaffordable dishes only served in the finest of the restaurants. I went for The Garlicky Lobster Roll (£8) and a small Lobster Mac and Cheese (£5.50). All the dishes are made from high quality produce but served at such great prices. Although I went for the small portion of Mac and Cheese, it’s so filling and the bowls are filled to the brim! The Garlicky roll was very garlicky indeed (bring gum) but so tasty and absolutely full of Lobster, Lobster Kitchen do not leave you disappointed. I’m Mac and Cheese obsessed so the extra helping of lobster was a nice change and it worked so well together. Recently I’ve been eating too many three course meals (greedy) so I find myself expecting to have a dessert following my main. After this meal I definitely was not looking for a dessert, I was stuffed! 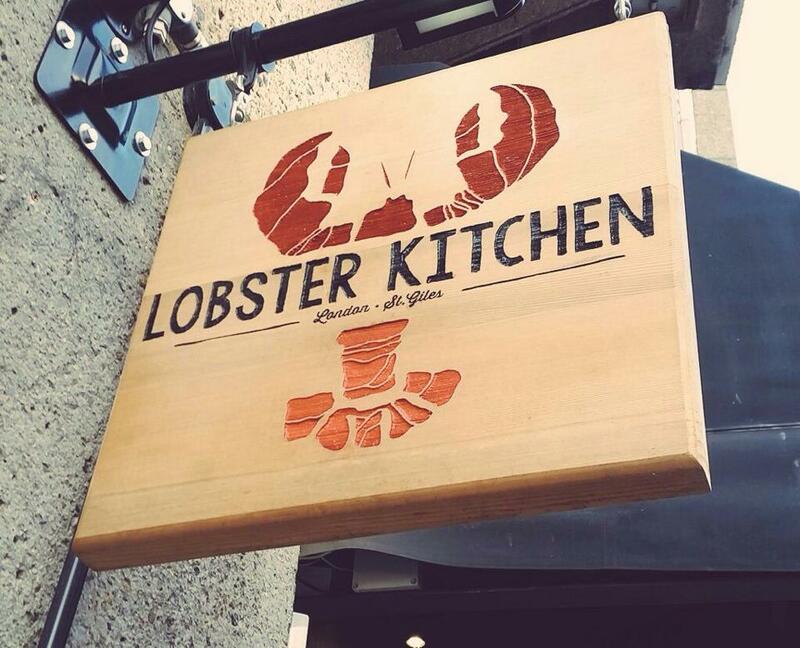 Lobster Kitchen is a great place to end your day of shopping in Oxford Street. The location is perfect and the restaurant is so chilled out with friendly staff. As you can see by the door (the green post its!) there is a Lobster wishing board. Here you can write down what you want to see at Lobster Kitchen next. Such a cool idea!